The Taxation Law Research Programme (TLRP) at HKU ran the Fourth TLRP International Conference recently, on Saturday, 31 October 2015. The conference title was: Renovating the Hong Kong Revenue Regime. The convenor of the conference, Richard Cullen has compiled a report on the event. One highlight of the conference was the review of significant new tax policy initiatives within Mainland China. Conference presenters from the Mainland noted how these changes present possible major new opportunities for the HKSAR as China moves towards an increasingly capital-export based economy. Other comments suggest, however, that Singapore may be well placed to benefit also – especially if the HKSAR continues to experience significant (political) difficultly with new, macro-policy implementation. The Taxation Law Research Programme (TLRP) in the Faculty of Law held its Fourth International Conference, entitled Renovating the Hong Kong Revenue Regime on Saturday, October 31, 2015. The TLRP was established in 2007, within the Faculty’s Asian Institute for International Financial Law (AIIFL), to foster general and comparative Taxation Law and Policy research focused, above all, on the HKSAR and Mainland China. 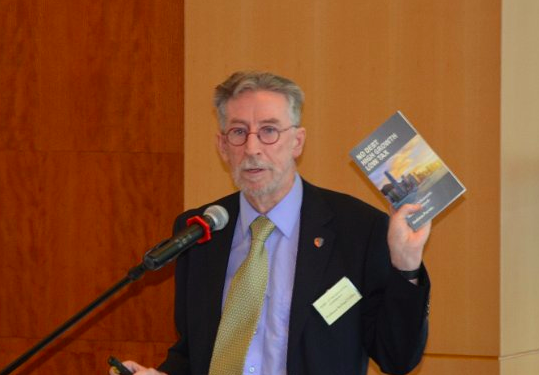 The TLRP is, in many respects, built upon the foundations of advanced Tax Law research first introduced in Hong Kong - at HKU - by the late Professor Peter Willoughby in the 1970s, supported, in particular, by Professor Andrew Halkyard (now an Adjunct Professor in the Faculty). 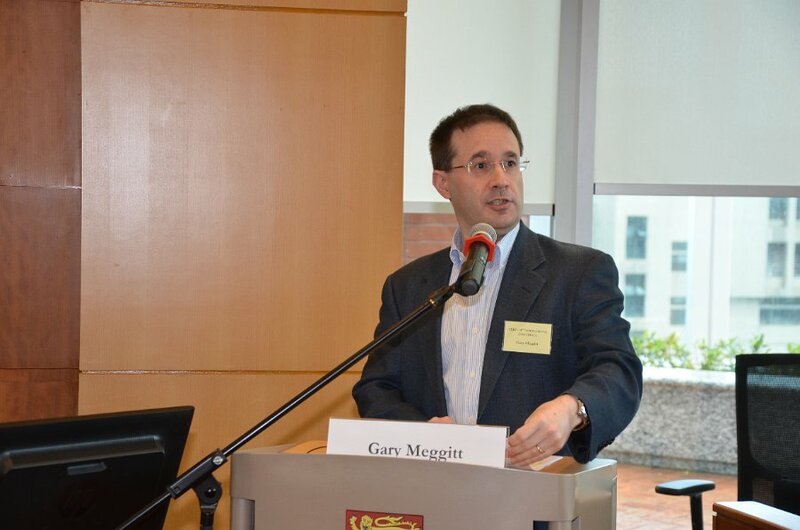 The conference was opened by Professor Gary Meggitt, Director of AIIFL. The conference title used the term Revenue Regime (RR) rather than “Tax System” because Hong Kong has, ever since 1842, relied notably on non-tax sources of revenue. The Hong Kong RR has, in many respects, proved to be remarkably successful for over 170 years resulting a in a low tax, simple system, unique within the developed world. So successful, in fact, that the HKSAR typically holds savings of up to 2 years total Government expenditure within its Fiscal Reserve Fund. When British Hong Kong was established, formally, in 1842, the primary source of public revenue was meant to be derived from the retail sale of opium, above all to the rapidly growing Chinese community. Briefly, the new Hong Kong Government planned to establish such a revenue stream by selling monopoly opium retail rights to the highest bidder - which was the model successfully deployed in the slightly earlier British Singapore Colony. Hong Kong also copied the Singapore free port model (thus excluding customs duties as a revenue source). In fact it took around 40 years before opium income became a serious contributor to public revenues in Hong Kong. This proved not to be a crucial problem, however, as revenues from (leasehold) land sales and other land-related revenues (including lease conversion premiums) more than made up for opium-income shortfall. From 1842 to this day, the RR in Hong Kong has benefitted from revenues resulting from Government land sales and other major land-transaction revenues to an extent found in no other comparable jurisdiction. The conference title also stressed “renovation” of the HKSAR system. For the reasons just briefly outlined, there is a widely shared view that the RR is not in need of radical or wholesale reform - especially given the levels of great complexity many years of such reforms have produced in Tax Systems right across the developed world. As it happens, the HKSAR Basic Law also spells out, in Articles 107 and 108: that Hong Kong shall strive to adhere to the low tax policy of British Hong Kong; and that it should keep a rein on public expenditure and avoid deficit financing. Article 106 additionally stipulates that the Mainland and HKSAR revenue systems must be kept strictly separated. Past performance is no guarantee of future, long-term fiscal robustness, however. This is especially so, given the challenges facing the HKSAR. These include an ageing population - combined with prominent expectations related to education, career opportunities, health care, housing and environmental improvement (for example). Associate Professor Wilson Chow (HKU) presented an analytical review of the findings from a preliminary survey of attitudes in Hong Kong towards the existing RR, perceived (revenue-sensitive) public policy concerns and possible renovation options. Professor Richard Cullen (HKU) followed up this demonstration with a short summary of certain discussion topics. A lively debate followed centred on the issues raised in the presentations, “bookended”, as it were, by those stressing the need for the HKSAR to take the greatest care to avoid the trap of advanced-welfarism (seen in many developed countries) – and by those stressing the need for the RR to be put to work far more seriously to address the striking community inequalities within the HKSAR. A further highlight of the conference was the special contribution made by a range of leading Mainland Tax Policy scholars from Xiamen University (Professor Yang, Bin; Professor Zhu, Yansheng and Dr. Doreen Qiu, Dongmei), Sun Yat Sen University (Prof. Yang, Xiaoqiang) and the Haikou College of Economics (Ms. Li, Xin). These contributions made two things clear: (a) how very rapidly Tax Policy development (and implementation) is advancing in the Mainland; and (b) how these moves towards a more developed (and internationalized) system present some special, interaction opportunities for the HKSAR. These developments are unfolding within China’s relatively new, “One Belt, One Road” outward-focussed, economic development model. The overall themes and the robust tone of the conference were established by the, keynote speakers, Professor Adrian Sawyer (University of Canterbury, New Zealand) and Professor Nolan Sharkey (University of Western Australia) – two of the leading Tax Law & Policy academics in Australasia. They each provided a series of first rate comparative insights. Nolan Sharkey’s presentation (which combined an informing review of relevant Tax Policy developments in Singapore and China) raised an important point which resonated with observations made by the Mainland scholars. The EU and the USA have found it beneficial to retain internal, separate low-tax / low regulation jurisdictions (Luxembourg (EU) and Maryland (USA) for example). Beijing’s overall positive view of the HKSAR as a low tax / low compliance cost regime of significant use to China as its economy modernizes towards a capital-export model fits well with this established approach. As Professor Sharkey noted, this Mainland policy stance could indirectly also benefit Singapore. Singapore has a strong tradition of high integrity, responsive institutions. It is fundamentally connected at all levels to the globalized economy and it is, overall, well trusted by Beijing. Singapore’s competitive Tax Regime thus may increasingly operate within a “de facto” or “alternative Hong Kong” zone. Unfortunately, the great difficulty experienced with implementing major new policies in the HKSAR over the last several years could stand in the way of Hong Kong taking best advantage of these Mainland Tax Policy changes. Thus, the potential opportunities highlighted by the Mainland scholars at the conference could yet be taken up more effectively by Singapore. A central “take-away” from Adrian Sawyer presentation related to how New Zealand’s responded to its near-bankruptcy experience of the 1970s: by undertaking a highly successful, major re-setting of its Tax System. This level of wholesale reform remains unmatched, within the last several decades, anywhere else in the developed world. Hong Kong, fortunately, has never flirted with bankruptcy – on the contrary. Yet there are many sound lessons to be drawn from the New Zealand experience in terms of forging a constructive renovation consensus. Taxation Systems, for many years, have largely been regarded in an instrumental way. That is, they are seen as a primary, multi-faceted tool of government policy implementation, above all. Most modern Tax Policy research explicitly or implicitly adopts this perspective. But Taxation Systems can also properly be viewed as part of the crucial political foundations of any given jurisdiction (the work of Prof. Xu, Yan (The Chinese University of Hong Kong – formerly at HKU) has demonstrated this most clearly with respect to Mainland China, for example). This conference made it plain that the RR in the HKSAR is both: a key instrument of policy implementation; and a pivotal part of Hong Kong’s unique political-economy identity. Apart from the presenters noted above, the conference attracted academic participants from a range of other Hong Kong and offshore institutions, including: The Chinese University of Hong Kong, Lingnan University, Hong Kong Shue Yan University, The University of Otago in New Zealand and The University of New South Wales and Monash University in Australia. It was particularly pleasing to see a strong delegation of students (studying Tax Law) from Sun Yat Sen University (in Guangzhou) at the conference. Students from HKU and other universities also attended. One of the many active participants was Mr Yeung, Wai Hong, a publisher with Next Media, who is an economist by training. He noted after the event that: “The conference you organized should be a required assignment for every practitioner in my business”. 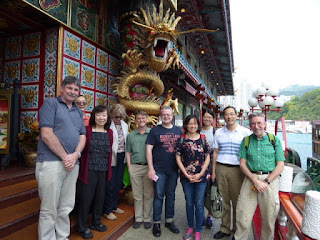 The conference concluded with an informal dinner on the Saturday evening for speakers and others involved in the conduct of the conference - followed by yum cha on the following day at the Jumbo Floating Restaurant (JFR) in Aberdeen. In both cases, conference topics dominated the conversation – though in more relaxed circumstances. The accompanying photo shows members of the conference group waiting for the water-taxi back to Aberdeen, outside the JFR. Power Point Slides from the conference can be found on the TLRP Website.